The first 2 month of 2018 is already behind us and this year’s top decor trends have been predicted. There are some fantastic styles to look forward to in the upcoming year, but a few specific trends have really caught our attention. We’ll be keeping them on our radar as the year progresses and look forward to seeing how homeowners and hospitality establishments alike interpret these trends in their spaces. If you too want to spruce up your home or refresh a few key design elements, these are the decor trends you may want to incorporate to achieve an updated look. According to the experts, lilac is the new millennial pink this year. 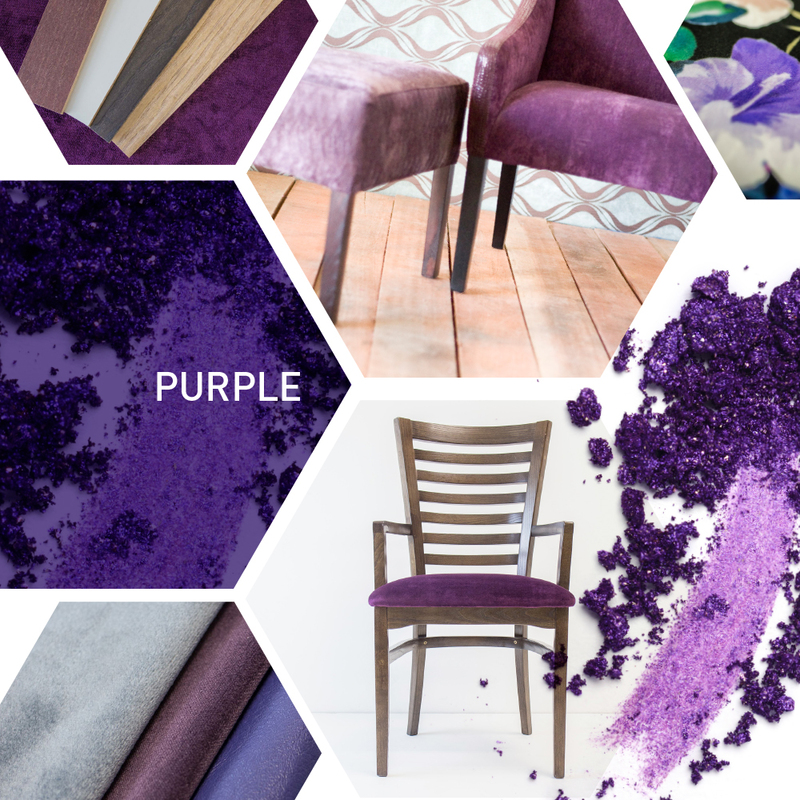 Expect to see pops of purple everywhere in 2018 from ultra violet (Pantone’s Colour of the Year) to softer shades of lavender and pretty plum. If you’re wanting in on this regal colour, consider pairing it with warm metallics, floral prints and sumptuous fabrics. This luxurious fabric is set to be the ‘it’ fiber of 2018. 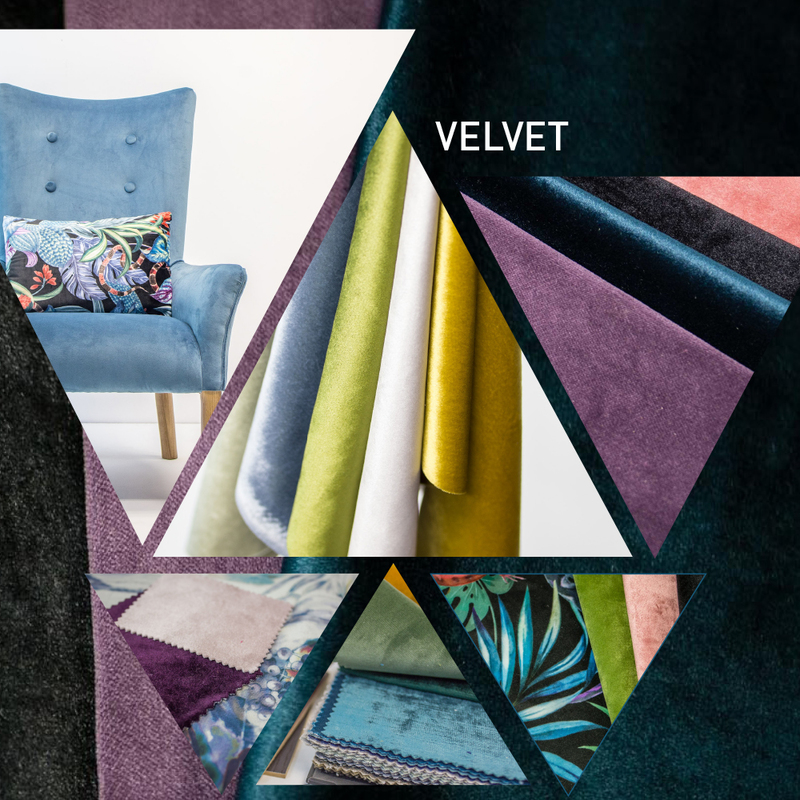 You’re guaranteed to see velvet accents everywhere this year but we’re especially excited about how much spotlight it is getting as an upholstery option. The past few years have seen it as a popular choice for scatter cushions and curtains but it’s predicted to to be a hot favourite for sofas and chairs this year. If you’re concerned by velvet’s fragile reputation, think again. There are now poly-blend velvets on the market and these are durable and childproof while still having that luxe feel. This trend is gaining momentum from last year. Bring the outdoors inside with nature inspired prints emblazoned with flowers and leaves. 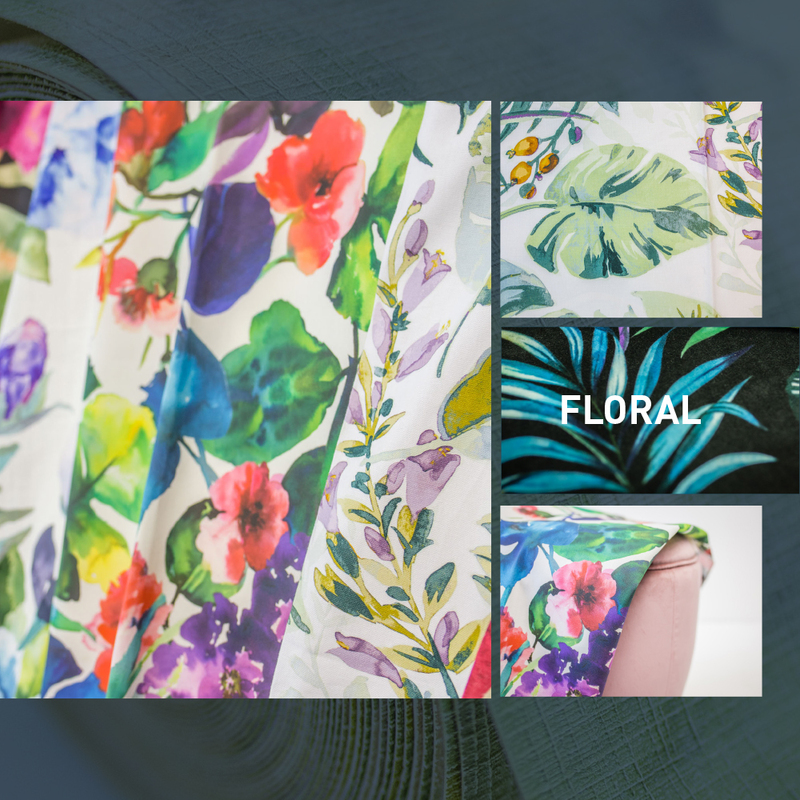 When it comes to floral prints this year the bigger, bolder and brighter, the better. Introduce a floral feel with patterns on wallpapers, textiles and upholstery. 2018 is the year of curved lines and plump shapes, especially in furniture. Comfort is key and we’ll see pieces designed with nesting in mind – think nests, clouds, bubbles and balloons. They are all serving as inspiration in furniture design this year. 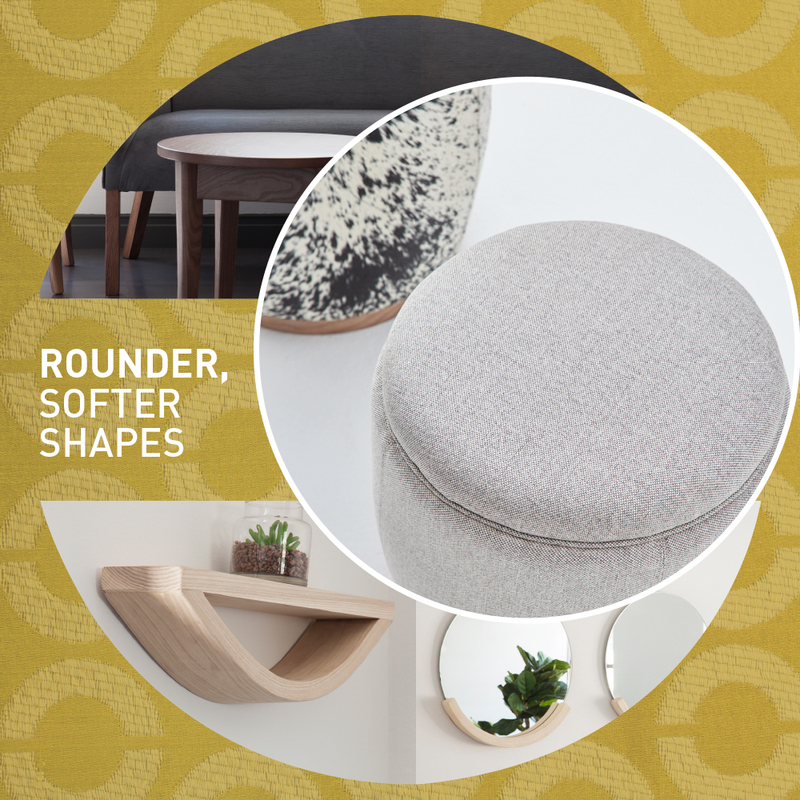 These rounder shapes and softer silhouettes lend themselves to a more laid-back vibe, especially in family rooms. 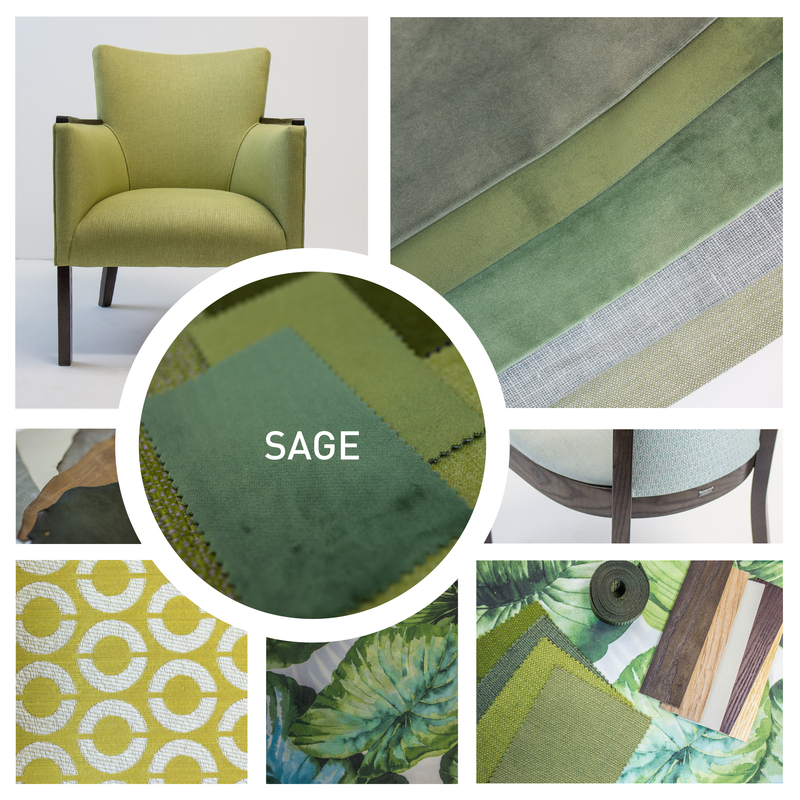 Soothing sage has been touted as the new neutral. While white and grey are still popular choices, this desaturated and almost chalk like plant-coloured hue has an earthy feel to it. Reminiscent of moss and a slide down the colour scale from mint, sage has the ability to act simultaneously as a neutral nuance and a colourful decorative feature. Need another reason to love sage? It pairs perfectly with velvet. We love the idea of a sage velvet occasional chair or footstool. The Scandi trend of recent years has seen people gravitating toward natural look timber. 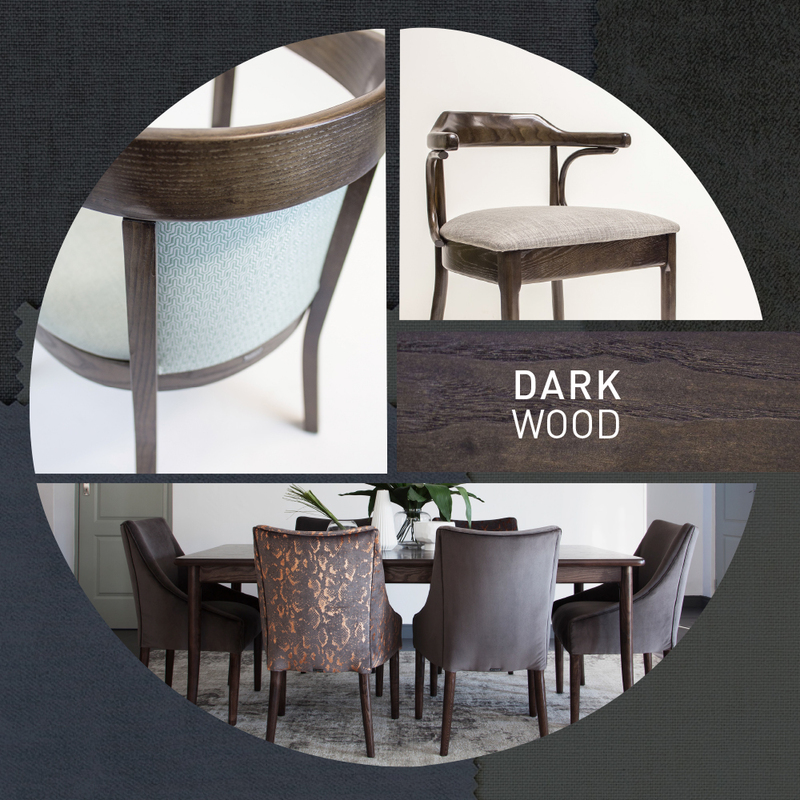 While blonde wood will certainly continue to have its place, this year sees it share the stage with darker wood tones. Furniture finished in shades of walnut and mahogany is a great way to add a touch of retro glamour to your space while giving it that modern luxe feel.